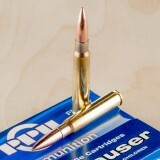 7.92x57mm or 8mm Mauser ammo was one of the most widely used military cartridges of the early 20th century. It was used by both sides in World War II, with the German Wehrmacht on the Axis side and the British, Polish, and Chinese armies on the Allied side fielding weapons chambered for it. Today, you'll find it for sale for American civilian shooters where the cartridge is still popular for more peaceful purposes such as hunting. The round performs well against deer, bear, and boar alike. 8mm Mauser loads tend to feature a heavy bullet in the 180-200 grain range fired at a muzzle velocity of around 2,700 feet per second. Hunters looking for a high performance load in this caliber should check out Federal's Vital-Shok series as well as soft points from Prvi Partizan and Sellier & Bellot. You'll also find cheap surplus rounds in-stock in bulk quantities here at Widener's as they become available. When you are looking for fantastic 8x74 cartridges for your target-shooting needs, order this 20-round box from Prvi Partizan. You’ll get fantastic ammunition that is smooth, consistent, and reliable, allowing you to go through the training shots you need with little to no hassle. 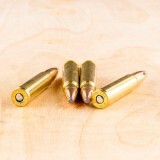 Thanks to a highly-advanced full metal jacket bullet and a reliable case, these rounds will cycle smoothly from the magazine to the chamber and out the ejection port. They will also give you less fouling in the barrel, which helps maintain speed, energy, and ballistic performance over a long session at the training range. 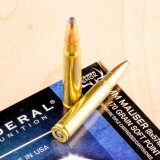 When it comes to high-quality ammunition for your rifle, these are the 8x57 rounds you need. Prvi Partizan is a Serbian ammunition company that has been making excellent products since 1928. They have a wide range of ammunition options for many of the most popular rifle and handgun calibers available. Their products are sold all over the world and trusted by law enforcement, military personnel, and private citizens. 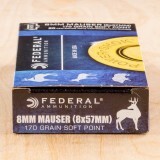 Federal Power-Shok 8mm Mauser ammo is an excellent choice for big game hunting trips. 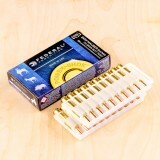 These affordable but effective cartridges fire soft point bullets that expand for maximum lethality in game animals without fragmenting and damaging meat or trophies. 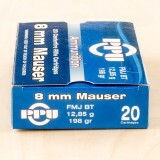 Each round in this box of 20 propels a 170-grain projectile to a muzzle velocity of 2,250 feet per second. 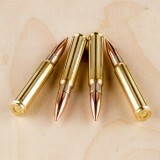 The heavy bullet produces deep penetration and excellent results against boar and deer alike. Federal, a division of the Vista Outdoor group, is based in Anoka, Minnesota. 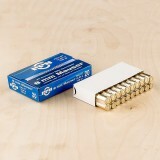 Their ammo uses non-corrosive primers and brass cases.